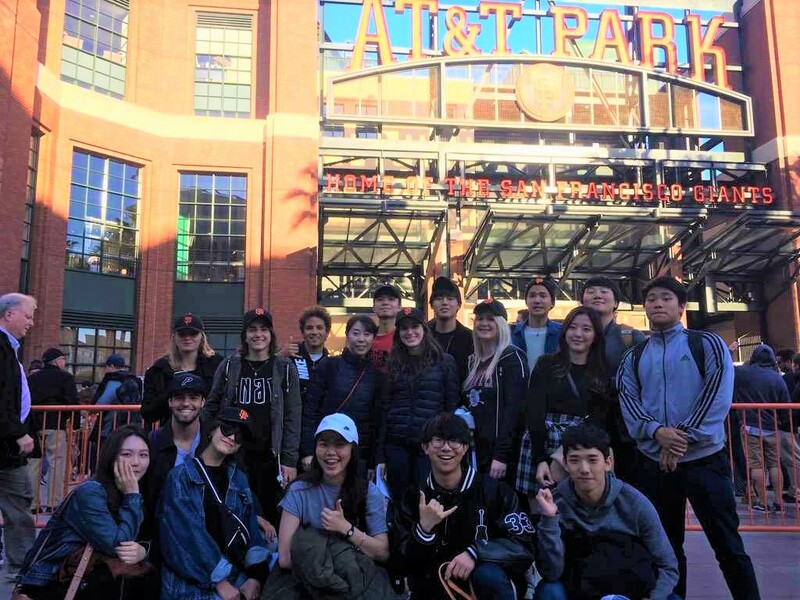 One of our monthly activity at EC San Francisco is to go see a Baseball Game at the AT&T Park Stadium. It is leaded by our center director Ryan, who is a big fan of this sport and of the local team, the Giants! Even if baseball is a popular sport around the world, some of the students do not know anything about it and the rules, as it is mostly popular in countries like the US, Japan and Canada. Therefore, before heading to the game, Ryan likes to give a presentation about Baseball and the San Francisco team to the students. During this time, they can get to know the rules, the Giants team, and ask questions. After the presentation, Ryan and the students go to the AT&T Stadium, which is only 20 minutes walk from the school! Once arrived at the stadium, we usually take pictures, take a tour around the stadium and check out the right field from behind the players enjoying the location. We also take the time to walk around the different stands selling different kinds of food, such garlic fries, hot dogs and drinks. When the game starts, we all sit and enjoy the moment together! The last game EC went to see was between the San Francisco Giants and San Diego Padres, and our team won. Go Giants! It is always a fun activity to do with the students! If you would like to study and have fun in San Francisco, check out our EC San Francisco English Centre!